Selling mortgage notes comes down to three pricing calculations – Yield, ITV, and LTV. Here’s how two little acronyms can define your cash flow business. Calculating LTV is fairly simple. Just add up all the money owed against the property and divide by the property value. Example: A buyer owes $160,000 and the property is worth $200,000. Step #3: The flip side of what a buyer owes and the part they own is called equity. Just take 100% and subtract the LTV to determine the buyer has 20% equity. Be sure to remember two important things. Mortgage note buyers will use the current value of the property rather than the sales price. That means if the property value goes down so does the equity position. LTV should also take into consideration ALL the outstanding loans. So if the payer has a first and second lien, you add both those together then divide by the value of the property. This is sometimes called CLTV or Cumulative Loan to Value. Calculating ITV takes the invested amount divided by the property value. Example: An investor offers to pay $150,000 for the $160,000 note with a property value of $200,000. Step #3: If an investor says they will only invest up to 75% ITV then just reverse the calculation. Take the $200,000 value and times it by .75 to get a maximum investment of $150,000 (subject to yield and minimum discount calculations). This example is for a first position residential note. ITV should also take into consideration any senior debt that will survive closing. If the purchase is for a second lien then you add the balance of the first lien to the investment amount and then divide by the value of the property. Second lien buyers may have additional restrictions and calculations when it comes to ITV. LTV helps determine risk. The higher the LTV, the lower a buyer’s equity, which equates to greater risk. ITV helps minimize the risk. The LTV on an existing real estate note was determined when the seller carried back financing. It can’t be changed. So the note buyer tries to reduce risk by reducing exposure. The higher the risk, the lower the ITV offered by a note investor. Of course other things determine risk including property type, credit, terms, and seasoning – to name just a few. But in the end the note buyer will use risk to decide on what yield and ITV they will need to make the deal happen. 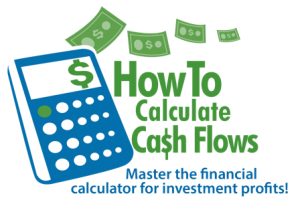 Get over 60 step-by-step video tutorials in our new How To Calculate Cash Flows Online Training! please tell me the best place to buy notes or all companies that sell notes? Hello Tracy and love the site! I have been reading up on NPN’s and running into an issue with calculating the offer price in an Excel spreadsheet that I have created to crunch my analysis. Is there a formula that will calculate the “offer price” knowing all other information. Have tried the PV formula with no luck on correct results. 2nd position note buyers are rare. I’ve only come across a few private financiers who understood fluently the Time Value of Money that were interested in 2nd position notes. These are private financiers who intend to buy and hold the notes, rather than buy, season, and then flip the notes to other institutional buyers. Most institutional note buyers won’t consider 2nd position notes under any circumstances. Most 2nd position note buyers that I’ve encountered were interested in wrap-around notes that had an inter-lender agreement with the 1st note holder to allow the 2nd holder to buy out the 1st with no prepayment penalty, allowed servicing the 1st while the 2nd was in default, and allowed the 2nd to accept a deed in lieu of foreclosure without accelerating the 1st. By retaining the right to buy out the 1st at a later time, the 2nd position note buyer would get the benefits of receiving interest on the 1st balance while only paying for the equity in the 2nd note (at a discount of course). This is a leverage play for sophisticated investors. Yields could be as high as 40% or more with a properly structured purchase of a wrap-around note. If the situation deteriorated with the payor, then the 2nd note holder could buy out the 1st at a modest discount to preserve the investment (the 2nd note automatically promotes to 1st when the 1st note is retired). Some wrap-around note buyers simply want to buy both the 1st and 2nd at once to simplify the situation, but their yields drop way down by doing that upfront. By having a good inter-lender agreement in-place, the wrap buyer can delay purchasing the 1st until absolutely necessary, thus raising the yield on the 2nd note purchase. Two cents worth. Your mileage may vary. Note investers who buy junior position notes have a slightly different calculation for Investment to Value (ITV) ratio. It is the sum of the other senior debt that will remain on the property after the note purchase plus the note purchase price, all divided by the current property value. For a 1st position note buyer, there is no other senior debt on the property, so the calculation is simply the note purchase price divided by the current property value. The ITV calculation is critical for determining the amount of protective equity in the deal. The note buyer may require a drastic discount on the face value to squeeze the total ITV within the acceptable range. The other critical calculation is the debt coverage ratio (DCR) that is the Net Operating Income (NOI) divided by the Annual Debt Service (ADS). It shows how much of the cash flow (after paying operating expenses) is above the debt service. The wise note buyer requires a sensible margin on net cash flow to guard against recessionary pressure on income and expenses. DCR is mostly used in commercial finance, but is also useful for small residential properties when determining whether the borrower has enough income to afford the debt service. Low DCR is bad, high DCR is good, and the typical range is between 1.2 to 2.0, but there are several other considerations like “net lease” versus “gross lease”, land use restriction agreement (LURA – used by subsidized housing programs), and whether the property generates income to pay the debt service or the borrower pays the debt service from other sources of income (e.g. owner occupied home or business venue). Thanks for the comment and expanded details. Our ITV example was directed towards first position liens and you brought up some great additional points on junior liens and commercial notes. When buying second liens in the past we would most definitely include the amount of any senior debts in the calculation along with a ratio for second to first. For example, a 2:1 ratio would require the second lien be no more than twice the amount of the first. In today’s market we are finding most note buyers will not consider second liens as an investment. From your comments it sounds as if you might be having success in this area. I’m sure our readers would appreciate knowing where they can take second lien notes for review if you’d be willing to share that information. Thanks for reading and commenting on our site.